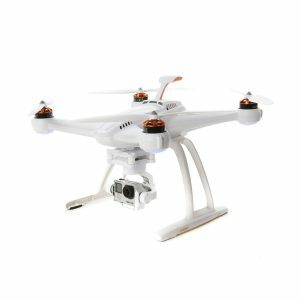 Now that the Phantom 4 has been around for a while, its predecessors are getting cheaper and cheaper. 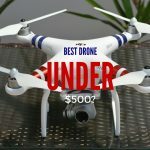 With the recent price drop, one of last year’s top drones is now available for under $500 on Amazon. 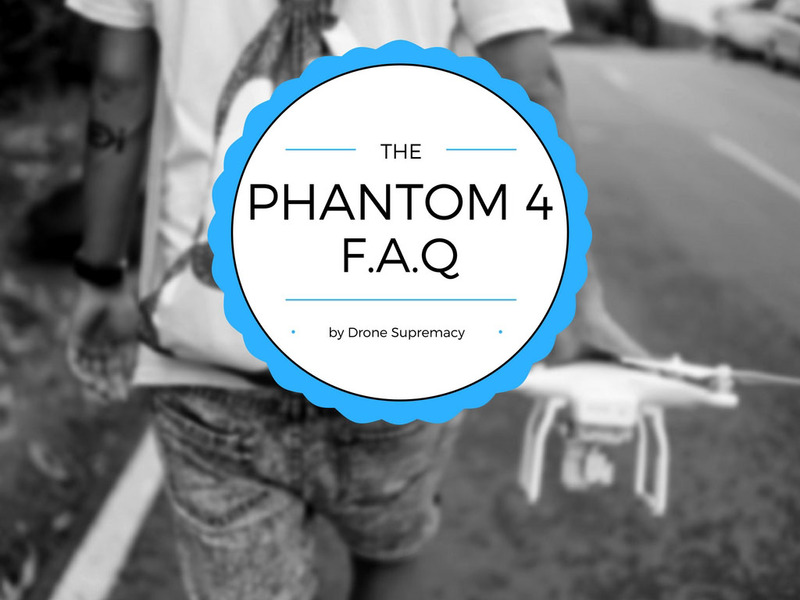 I’m talking about is the Phantom 3 Standard. 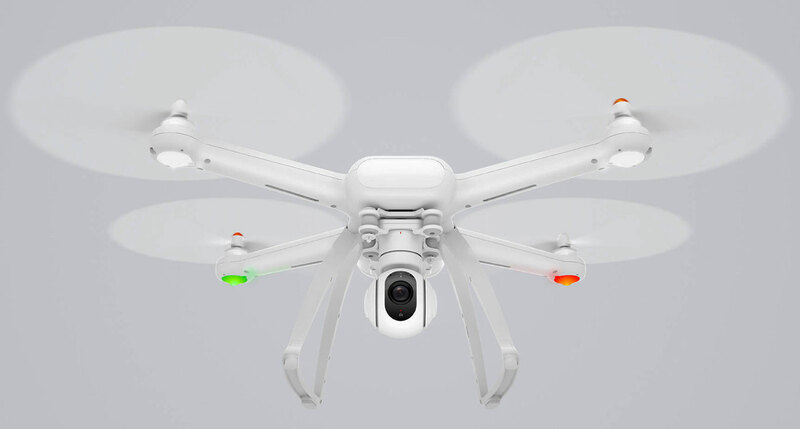 The design of the drone is pretty much the same as the other popular drones from the Phantom 3 series – the Advanced and the Professional. 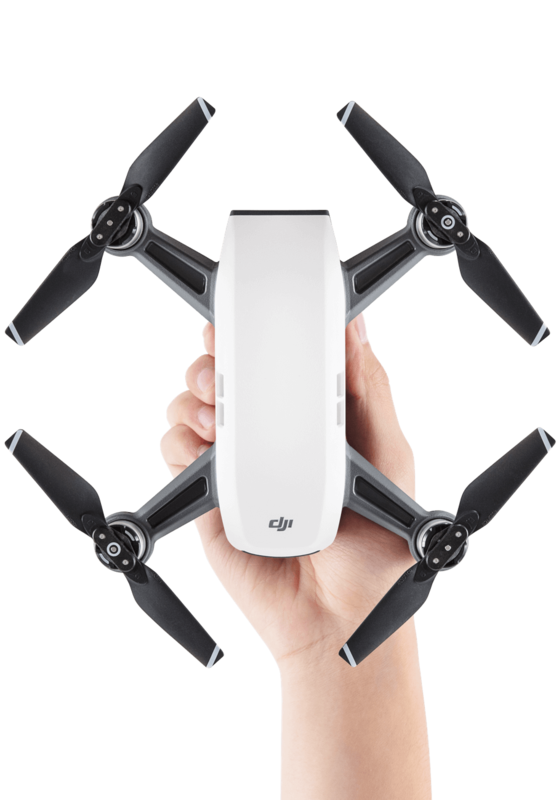 Many people say that DJI is just like Apple – they make a nice, clean design and they stick to it, by adding only small new improvements for the newer models. 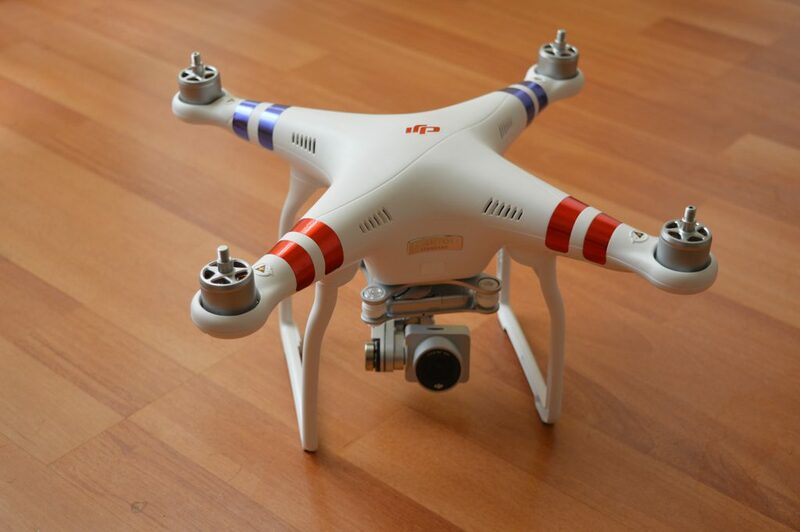 And it seems that in reality that is exactly the case, as the Phantom 3 Standard looks extremely similar to the older model – the Phantom 2 Vision. 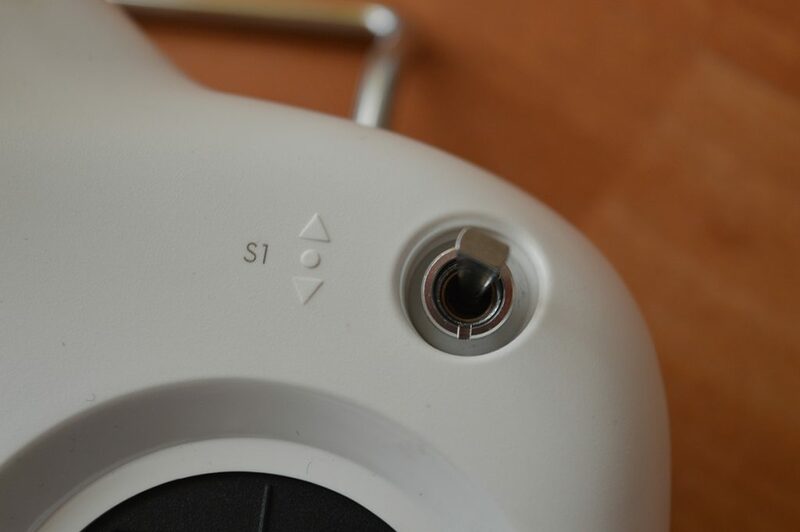 DJI has decided to use the same remote controller as the one they have used for the Phantom 2. It features two switches on the upper corners, the throttle and direction sticks, a gimbal dial and a power switch. It’s a rather simple remote controller, which does not give you plenty of options. Unfortunately, you can only fit a mobile phone on this remote, as DJI has decided to cut the costs down, and they have only included a plastic mobile phone holder for devices below 6 inches. Luckily, there’s a way to hold a full-sized tablet, such as the Ipad Air2 with the Phantom 3 Standard remote controller for rather cheap. I found a very informative video on this matter, and I suggest you to have a look if you’re searching for a way to add a device with a larger screen to your drone remote. A WiFi range extender is built into the remote controller for extended range (up to 1000 meters with no obstacles on the way). Top position – GPS mode (P-mode). 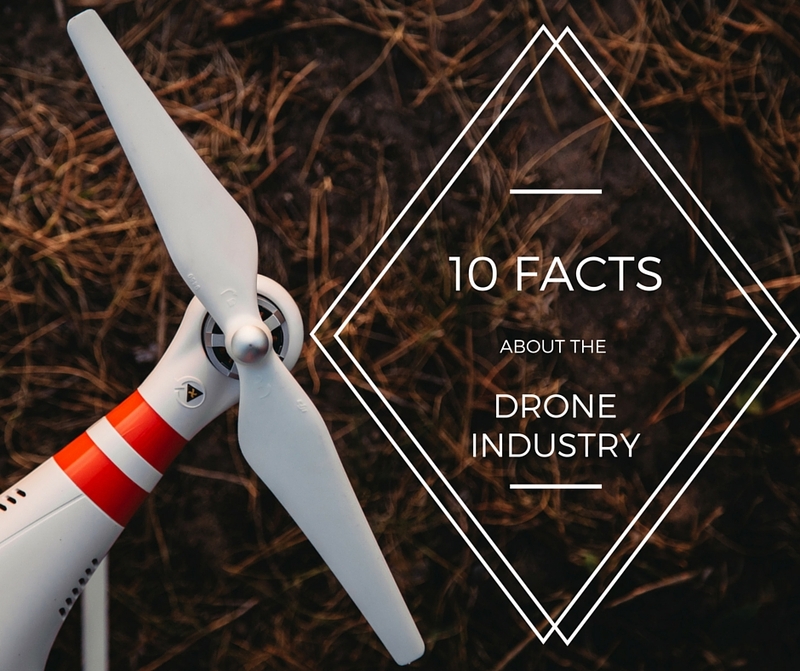 This means that the drone uses GPS to position itself. This is the recommended mode. Middle position – Attitude mode (A-mode)– This mode doesn’t use GPS to position the drone. It only uses the drone barometer to maintain altitude. This mode is faster, but the drone will most likely not stay in one place (because of the wind gusts), so I strongly suggest you to fly in this mode only in light wind or when there’s no wind at all to avoid crashing. 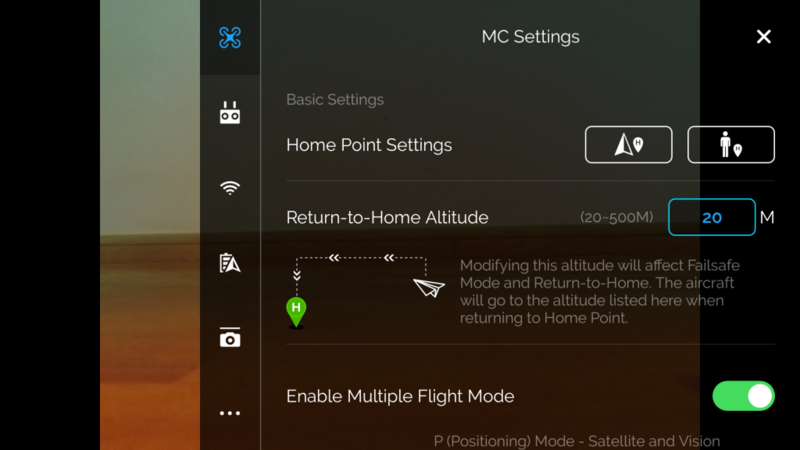 This mode allows you to lock the current nose direction of the drone as the aircraft’s forward direction. When this mode is activated, pushing the right stick forward will always move the drone in the same direction, no matter how the drone is positioned. 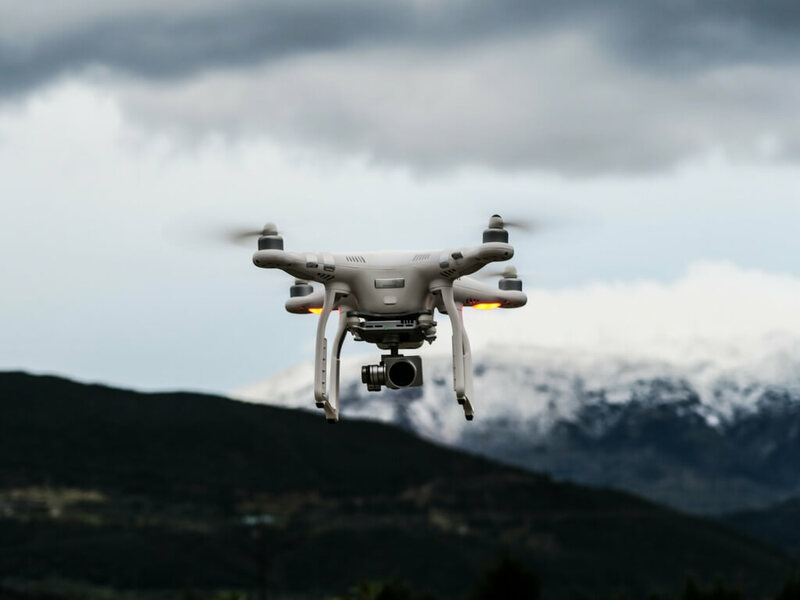 You simply need to enter F-mode, activate Course lock and adjust the desired forward direction of the drone you want to lock it to. Home lock is a mode in which you can simply pull back the right stick and the drone will come back to its recorded Home point, no matter of its current position and direction. When it reaches a distance of 5 meters from the Home point, the Phanatom 3 will hover and wait for your next command . Here’s a very well explained tutorial from DJI on how to use Course Lock and Home Lock. On the upper left side of the remote controller, you can see the S2 switch. 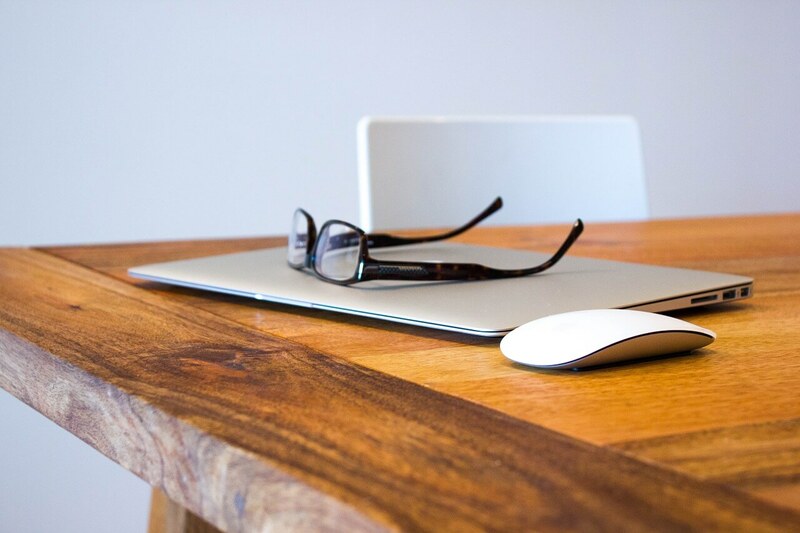 It is mainly used to initiate the RTH (return to home) function – you can do this by toggling the switch back and forth at least two times (back-forth-back-forth). 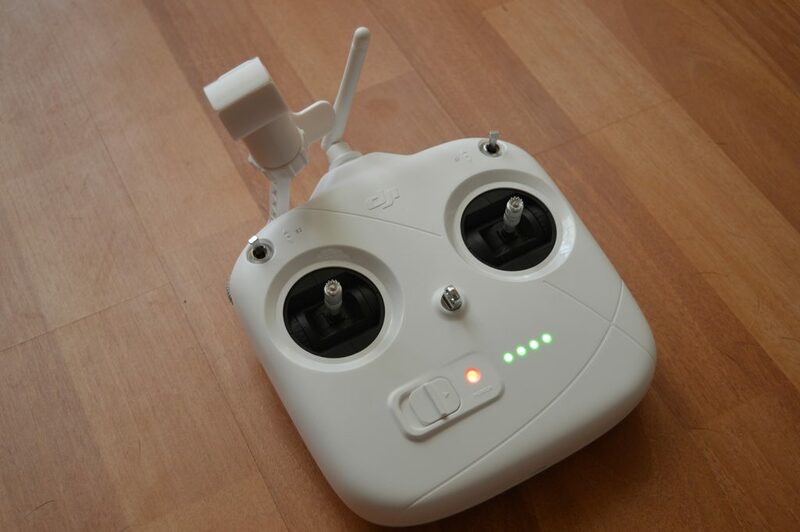 You can also use the switch and the gimbal dial to link the remote with the drone or to reset the Wi-Fi password. Normally, you wouldn’t need to do that, so refrain from using the S2 switch. As mentioned earlier, the Phantom 3 Standard has a 2.7K camera, capable of filming at a maximum resolution of 2704×1520 (at 30 fps). The 12 megapixel sensor allows you to take quality photos from the drone while flying, and I’d say the camera quality is pretty good. You can see some photo and video samples in the gallery below. The 3-axis gimbal and the shock absorbers make the video very smooth and quite enjoyable to watch. 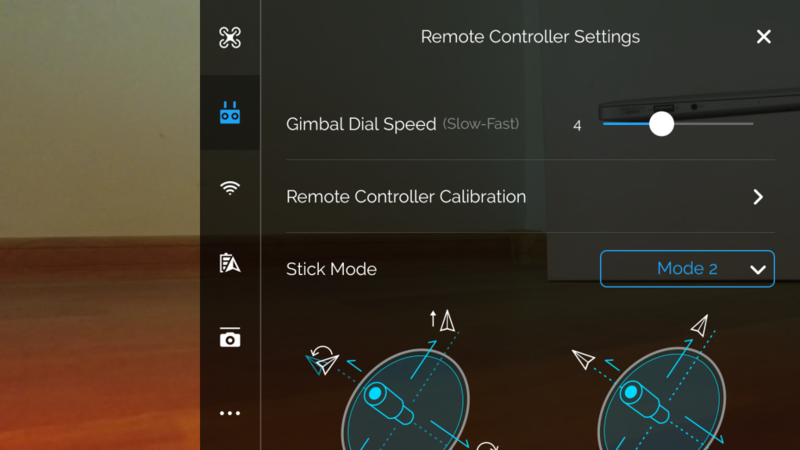 You can finetune many settings from the DJI Go App, such as the gimbal dial speed, the layout of your sticks and virtually anything you desire to make your flying experience suited to your style. 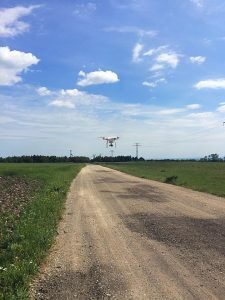 A very important aspect of flying the drone is its range and connectivity. 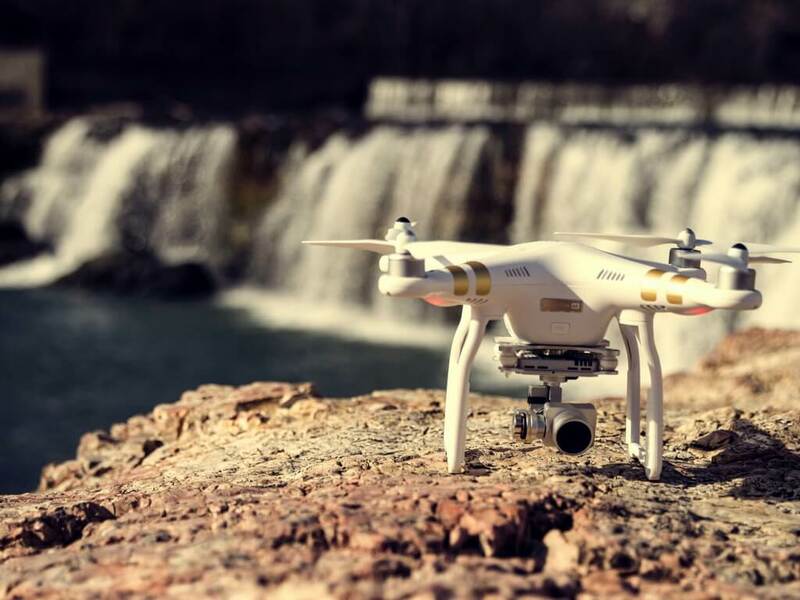 The Phantom 3 Standard has built-in Wi-Fi connection, meaning you have to connect your smartphone to the wireless network it creates and you go from there. 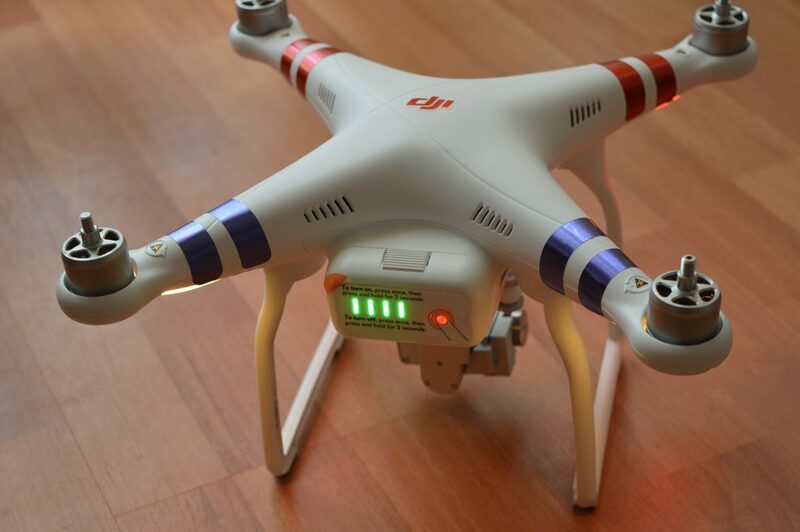 The range is more limited than the other Phantom 3 models (Advanced and Professional), due to the lack of Lightbridge technology. 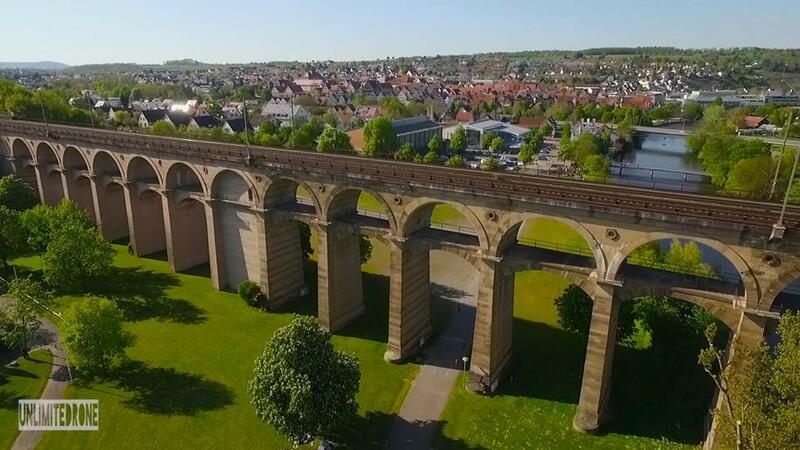 Nevertheless, the drone is still capable of flying within the 1000 meters range that the wireless network provides and while there are no obstacles on the way, the signal is nice and clear. 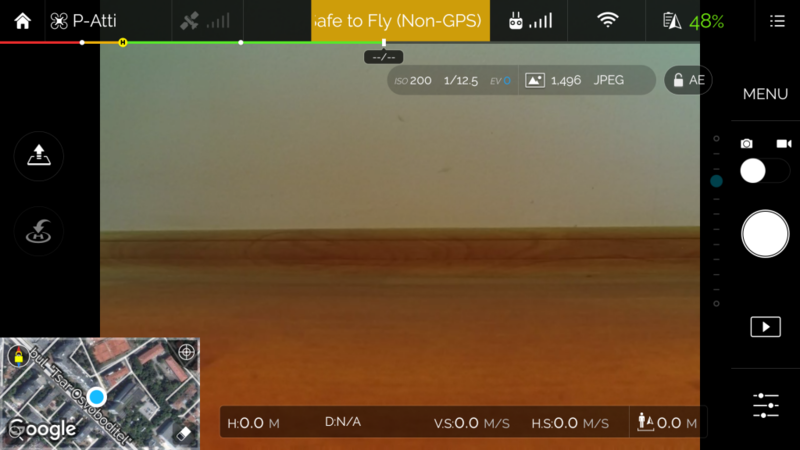 You get a 720p feed on your smartphone, so you can follow the drone and see what it sees through its camera. 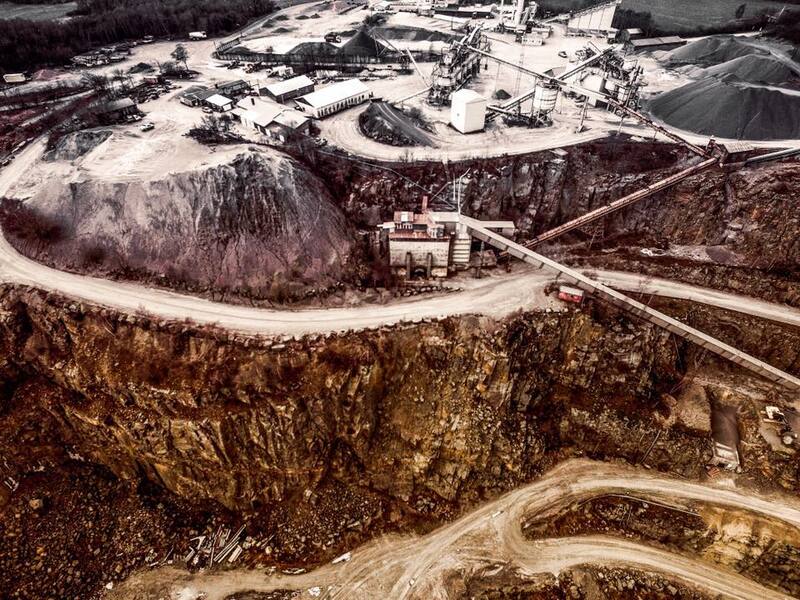 When it comes to wind, the Phantom 3 series are known to last to wind gusts up to 20-25 mph. Anything more than that is making your flight dangerous, and I wouldn’t suggest you try to fly in such weather – just wait until the wind dies down a bit, for your own safety. 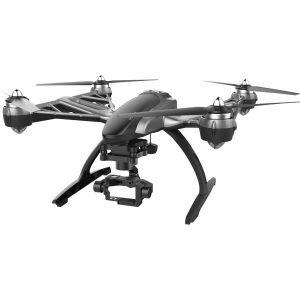 This drone is no exception – it flies well during light to moderate winds (in GPS mode), and it quickly compensates when being pushed to the side by a strong gust. 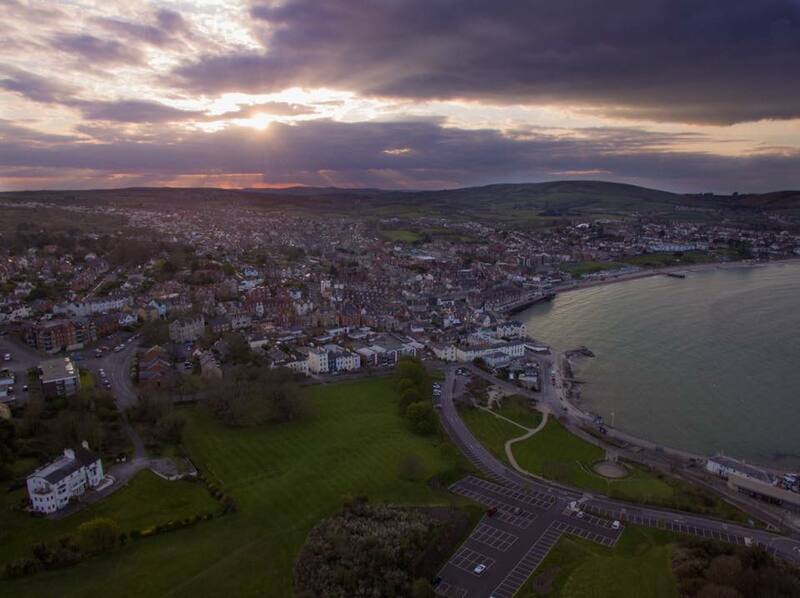 I would say the Phantom 3 Standard handles the wind fine, just be careful and don’t trust the drone 100%, otherwise you might find it crashed into a wall. The battery is 4480 mAh (LiPo). It gives you flight time of around 20-23 minutes, and it takes roughly an hour and a half to charge from 0% to 100%. In addition, the remote charges completely in around 2 hours. For anyone who’s more serious about flying, I’d suggest getting an extra battery, it’s always useful. 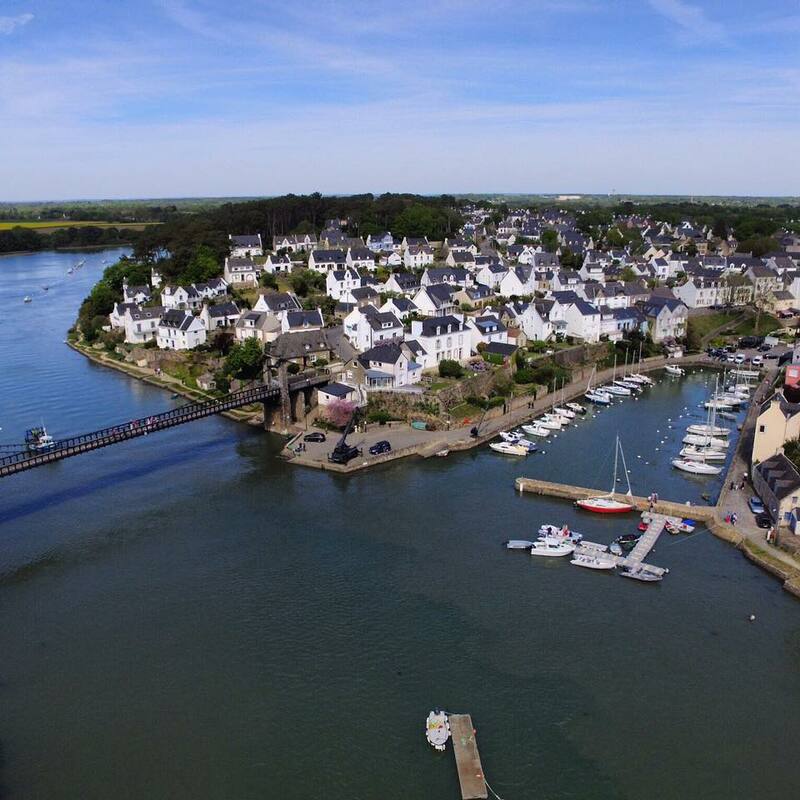 We’ll take a look at two competitors of the Phantom 3 Standard which are each around the $500 mark. The first one is the Blade Chroma Quadcopter. 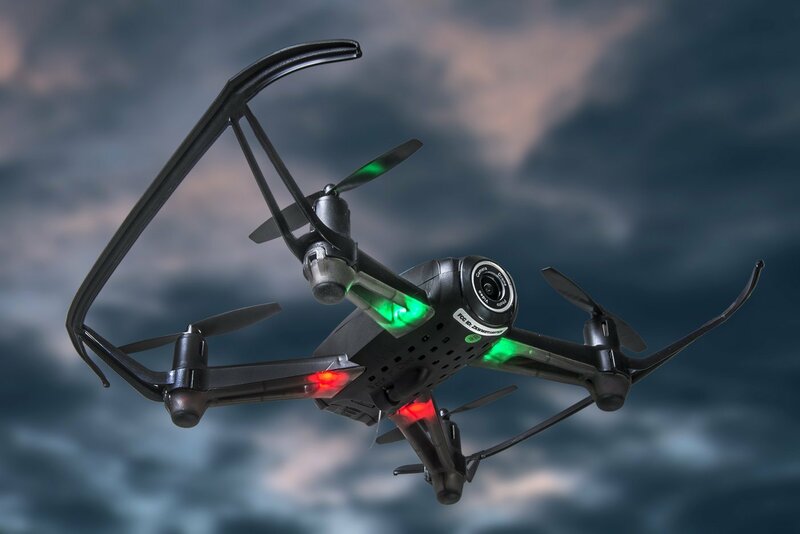 This drone is great for beginners as it has Smart mode (similar to Course Lock from the Phatom 3 Standard) and other intelligent flight modes. The flight time is around 30 minutes, so that’s a few minutes more than the Phantom. Another huge plus for this aircraft is that the remote controller has a built-in 5 inch display – this eliminates the need for an additional mobile device to be attached to the remote. It also has a 3-axis brushless gimbal for GoPro camera for stable shooting. 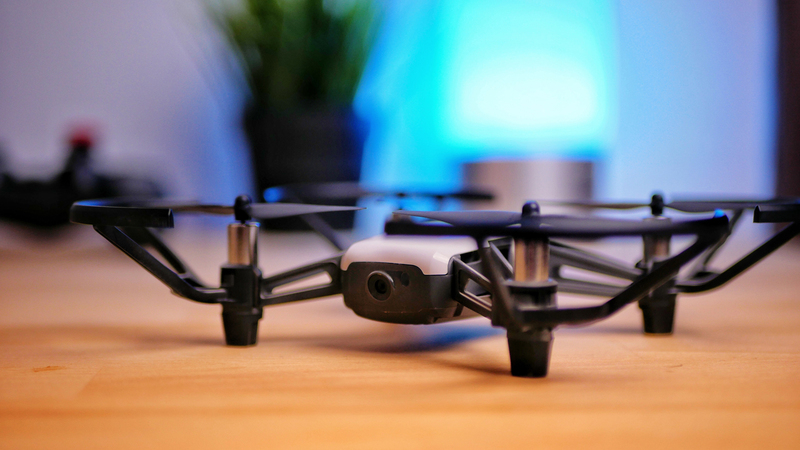 Unfortunately the GoPro camera is not included in the price, which makes the overall price of this drone a few hundred dollars more than the Phantom 3 Standard’s price. Nevertheless, in my opinion the Blade Chroma is still a very good competitor. 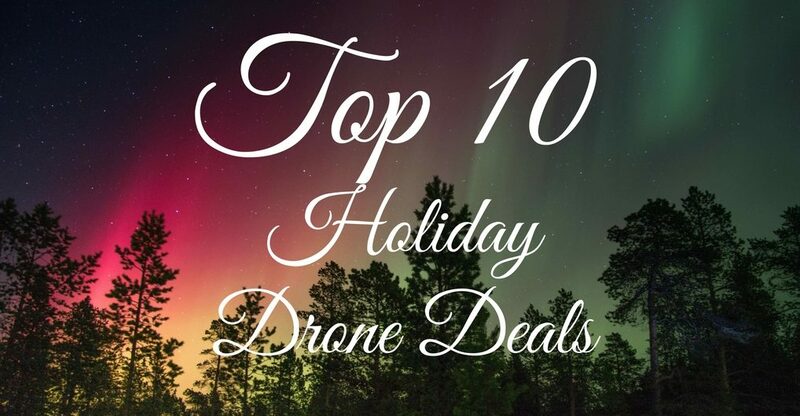 Another very similar competitor is the Yuneec Typhoon G. Currently priced at just over $400, this drone uses the same ST10+ ground station contoller as the Blade Chroma. This means the 5inch screen is present again, so no need to buy an additional mobile device for your drone. 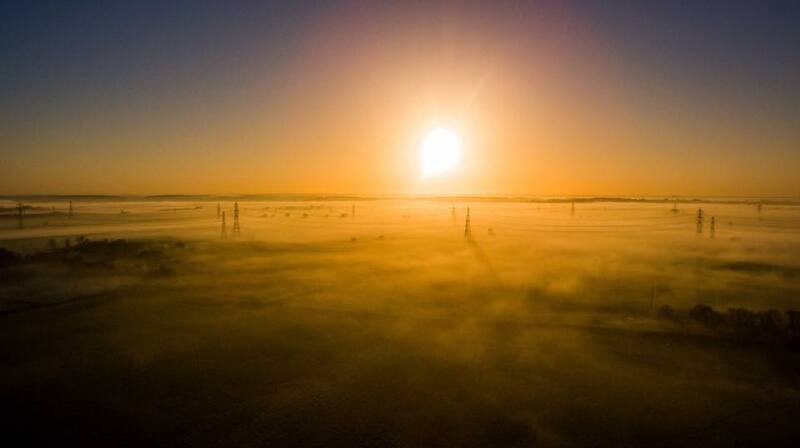 The drone also features Watch me and Follow me modes, a 3-axis gimbal and 20+ minutes of flight time. Again, just like the Chroma Blade – a GoPro camera can be fitted, but it’s not included in the package. After having a in-depth look at the Phantom 3 Standard’s features and some of its competitors, I can conclude that YES, in my eyes this is definitely 2016’s best drone under $500! For that price you get plenty of stuff and honestly – you shouldn’t even think twice about getting it. 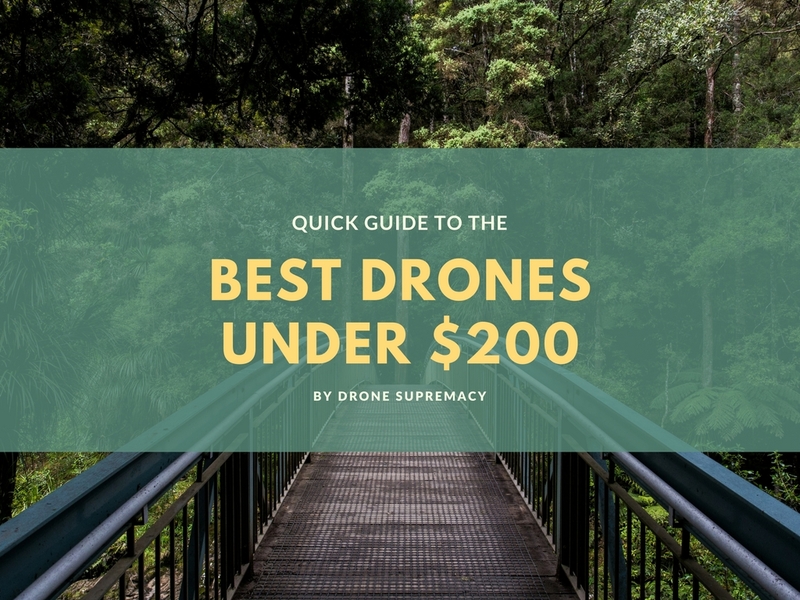 As we just saw, most drones around the $500 price range come without a camera, so you have to spend an extra couple of hundred for a GoPro if you want to have a fully operational drone. However, this one gives you an amazing all-in-one package that is simply not comparable to anything else I’ve seen until now. 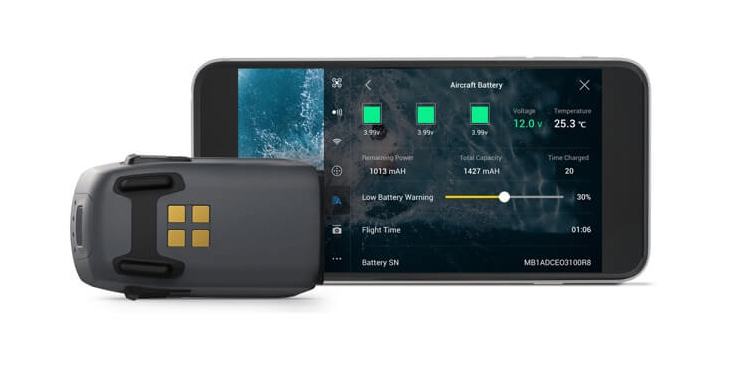 My advice for anyone who’s on the lookout for a great drone and who has a couple hundred dollars more to spend is to have a look at the Advanced model as well – you’ll get Lightbridge connectivity, more flying distance (up to 5000 meters) and better remote controller with tablet integration. 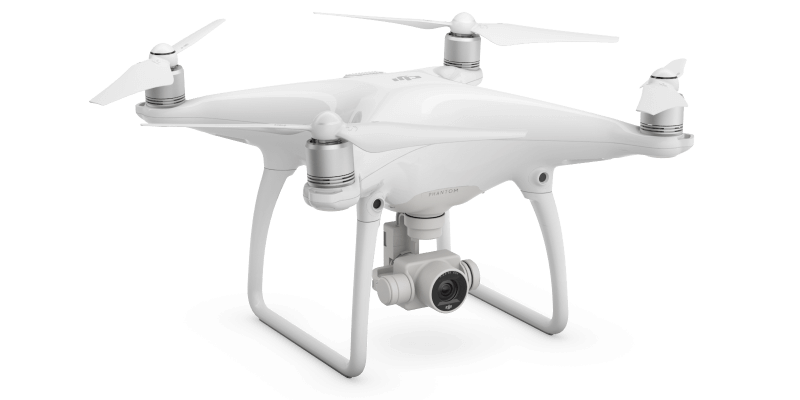 But if you’re looking to buy your first “prosumer” (professional/consumer) drone – the Phantom 3 Standard is the way to go. It’s is an amazing piece of equipment, capable of filming truly breathtaking videos and in my opinion nothing beats it in this price range. 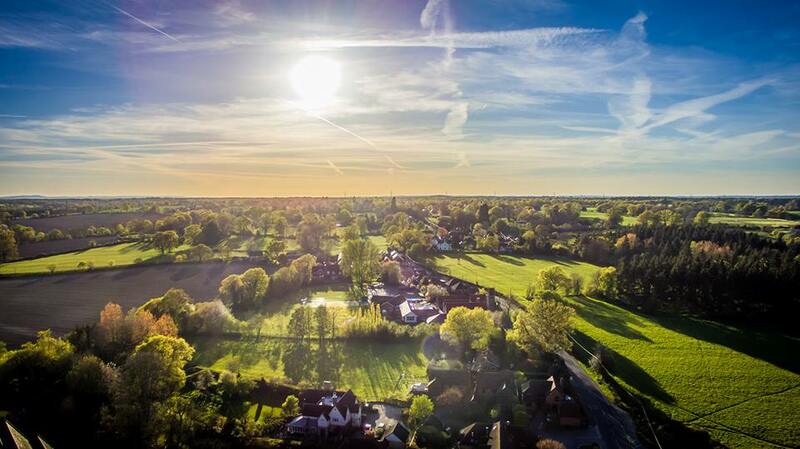 To conclude, The Phantom 3 Standard is great choice for both novice and experienced flyers and its high quality will certainly satisfy anyone who’s on the lookout for a more affordable, but still extremely sophisticated drone. I hope you’ve enjoyed this DJI Phantom 3 Standard Review – if you did please share it on social media and write a comment below if you have any questions! I viewed the video that you posted. Was there a lot of post work done to it. I couldnt see any fisheye effect. This was in my opinion something that let the Phantom down. I hate that effect. Some people seem to like it. It was sent to me from another user, so I can’t really tell. But my own P3s doesn’t have any fisheye effect, so I guess that was a thing from the past? 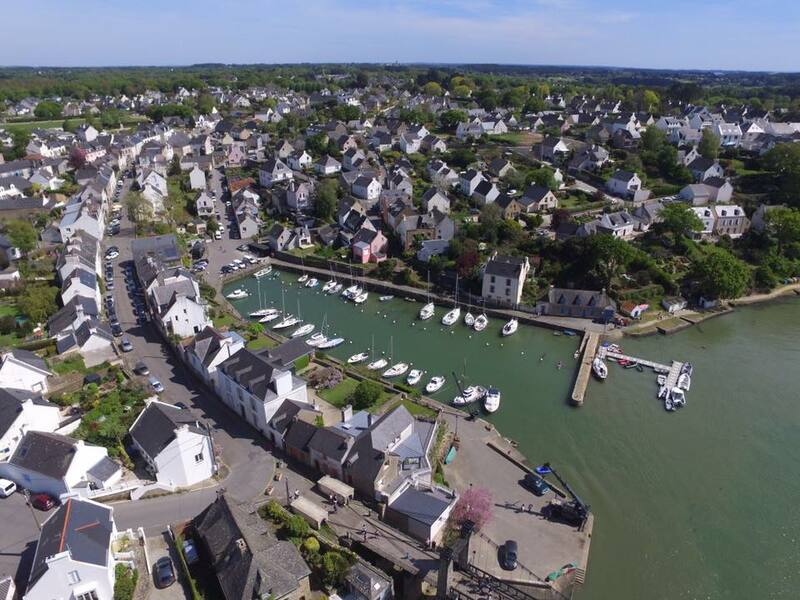 This is a great overview on the DJI Phantom 3. 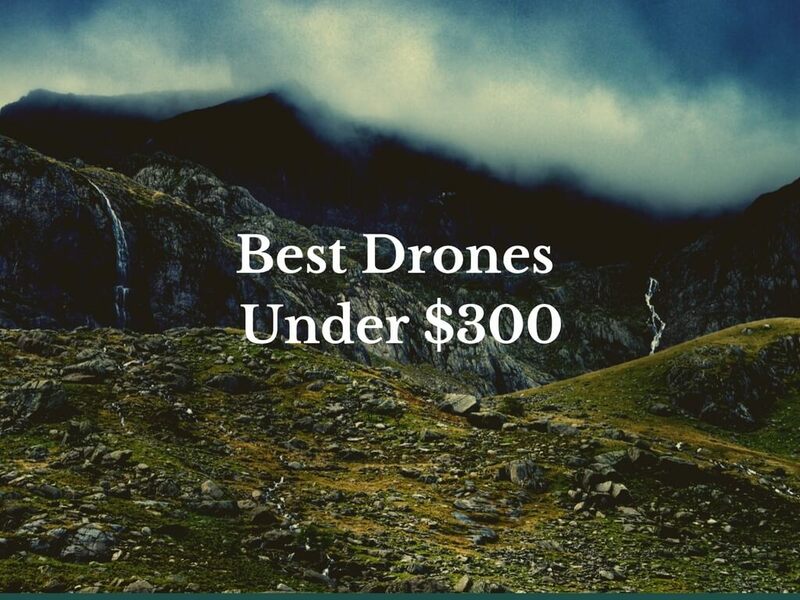 I agree this is one of the best drones for under 500 you can buy. Hey, thanks for the review! I’ve been on the fence about getting a drone for a while now and have had a tough time deciding between the DJI Spark and the Phantom 3 Standard. After reading your review I’ve decided to go for the Phantom 3 Standard as from what I gather it can record more stable and nicer footage? However I am now unsure about what case/ backpack to get for it. I’ve been doing some research and just read this review – http://www.droneriot.com/manfrotto-aviator-d1-backpack-review/ and it seems as though the Manfrotto D1 backpack is what i’m looking for, as I would like one that can carry my DSLR as well. It is pretty expensive though and I’m wondering if you can recommend something cheaper, but with the same amount of storage? Or is that just wishful thinking? Thanks again! So yeah, getting something cheaper might be wishful thinking indeed, as this is a quality product that will last long. Wow I am impressed for the amount in depth and detailed review. What I really like was the instructional videos and also what do you think using p3 in high altitude environment with fast winds versus p4?